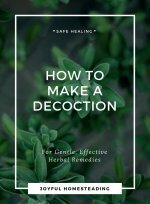 My Homesteading Story is your opportunity to share your homesteading story with other readers of Organic Gardening and Homesteading. Share your successful homesteading story. You don't have to be totally self reliant to share a story. 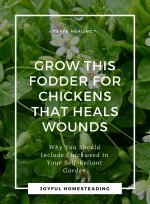 Are you keeping chickens successfully? Grow a successful garden recently? 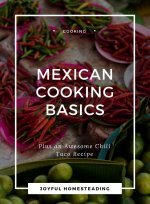 Found a frugal recipe you'd like to share? Submit your story right here! 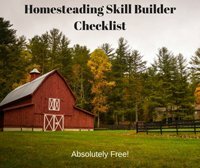 Your successes - no matter how small - will be an inspiration to other aspiring homesteaders, helping them to realize they can work their way to self reliance as well! Your original version of my homesteading story will be seen by friends, family and other grateful visitors of Organic Gardening and Homesteading. If your story is one that will help everyone, I'll put your story - along with your byline - on its own page on Organic Gardening and Homesteading! By the way, I'd love to see any photos you have as well. • Make sure your ideas and photos are original, and that they are either from you or a family member. Please do not copy from another source. • Make sure your file is no bigger than 2MB please! I can't wait to see what you're going to share! Thanks for taking the time to give back, and happy homesteading! Or more specifically, Your Homesteading Story! Type your story here! And thanks for sharing! Not sharing a story but more in search of help. Soon to be unemployed and my home garden hobby is about to be the main source of family food. For The love Of Chickens! Am I planning my garden too early? It started when my husband lost his job. Hope your garden is doing well!